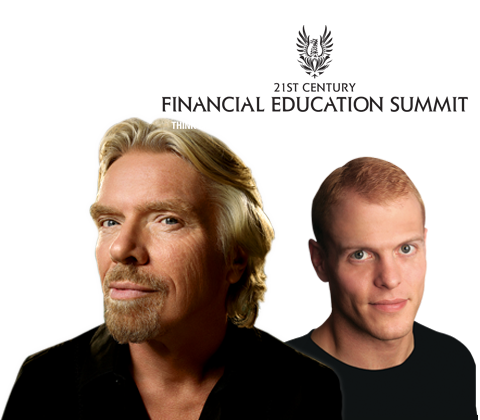 Joined Tim Ferris under the digital campaign we ran for the 21st Century Financial Education Summit at Hisense Arena in Melbourne. Massive success was achieved across lead generation and ticket conversion pre event. During the event we even built a live social aggregator to specifically monitor Facebook, Twitter and Linkedin, post and respond to on the day activities. With speakers like Sir Richard Branson, Eddie MaGuire, Tim Ferris, Jeff & Kane and many more, you can imagine how busy the posts and responses were. Go on, see if you can challenge us on "Sir Richard Branson" - Part of our 159 services at &Mine. We are quick to respond but if you want to go direct, test us during office hours.